You can potentially spend a lot on this, or alternatively go with my approach using a low cost, home brew setup using a Raspberry Pi + webcam combo, or use the Raspberry pi foundation camera module. The first thing you'll need to get your bird box camera online is a digital video source. 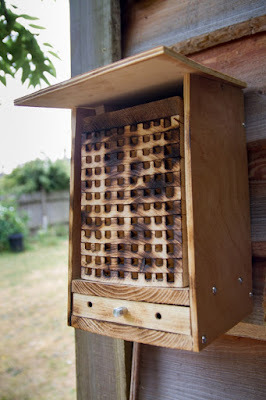 Many commercial birdbox cameras use analogue cameras and are designed to connect via a wired or wireless connection (2.4Ghz radio) to a SCART/composite video in your TV or via BNC type-connector to a video recording system (capture card to PC), or digital video recorders (DVRs) sold for CCTV. As-is, analogue cameras won't let you do live streaming, you'll need to convert your analogue video to digital, or start off with a digital camera in the first place. Analogue camera kits are available from a variety of sources, e.g. HandyKam, UK wildlifecameras and others (I've borrowed their images, so its only polite to link out to them...). These are mainly described as connecting to a TV (or DVR). Examples of analogue cameras, and what to expect in a kit. To get your analogue camera online, there are a couple of options to convert it to a digital form. Analogue capture to PC: There are lots of bits of kit that can convert an analogue video signal to digital. Some sit outside your PC. Alternatively use a dedicated video capture card in your PC. I picked up a couple of Picolo Pro 2 PC capture cards on ebay a few years ago and have used one to for a few seasons to capture an analogue camera using iCatcher PC software in a tawny owl-come-squirrel nest box (replaced a few yrs ago with a home-brew digital setup). Standalone IP converter. Directly connect an analogue video source to the internet. There are some scenarios where these may be more appropriate e.g. Inaccessible sites e.g. Norwich Cathederal Peregrines (note this does not work in chrome) or in schools where there may not be much in the way of IT support, or the person setting it up does not want to bother with a PC component. These are expensive, and for this reason I've not tried one (would like to...). This Axis IP converter is one example available from HandyKam, and once purchased, the per camera cost drops since several analogue cameras can be converted the same time (depending on your kit that is). IP (IP='Internet Protocol') cameras. The cheapest ones are generally more expensive than analogue cameras, however as the camera itself generates the digital feed, you don't need as much intermediary 'stuff' to get your video stream online, offsetting the higher camera cost. Video quality is often better and does not degrade like you may get with a long CCTV-analogue cable, particularly if used with analogue radio transmitters, especially if like me the local 2.4Gz spectrum is already pretty much full (neighbour's chicken cams!). This example is approx £240 - It wont fit into a typical small bird next box however! Hobbyist IP camera kits: 'Birdbox IP' camera kits: e.g. this kit from HandyKam: 'DigiNestCam HD camera kit - Bird box, 2MP IP camera with IR.' This would be a good place to start if you're after an a commercial kit (£179.95). The advantage of this kit is that the PoE (power over ethernet) and cabling is sorted out for you. This alternative is similar with additional work needed by the user for powering it. For the DIY-er, the new Raspberry Pi camera board is 8MP, so likely improving on the resolution of these. Domestic IP cameras: ?May be worth looking at but these offer a range of options not really required (e.g. facial recognition, subscription monitoring), some of which are still expensive so are probably best avoided. MAKE YOUR OWN <- this is what I've done using a Raspberry pi (credit card-sized PC) + camera comes in at approx £50 -ish to make a live-streaming capable device. This is the cheapest & most flexible option, but relies on a bit of technical know-how and setup time (but not a lot...). Note there is additional cost to sort out PoE and any cabling. Commercial cameras are usually bulky, may be more appropriate for larger nesting sites, BUT Raspberry pi solution = small. Via CCTV cable (often comes with kit). I've had mine work over 50+ meters extending with (variable) success to 200m over wireless 2.4Ghz. Usually power over ethernet (PoE), quite cheap to do .. will need to learn how to wire a cat5 ethernet cable if going the home-brew Raspberry pi route (not difficult). Transmit over wifi. Transmission framerate may drop over increasing distance, no drop in video quality. May degrade considerably over distance. Via router to PC connected to same network, or direct to internet. On PC using dedicated CCTV software e.g. iCatcher console, (£139 for 2 camera licence), or Zoneminder (FREE, runs on linux PC/Raspberry pi, more fiddly to setup). So, the point of this is was to describe/document how I got my Robins online. I used a Raspberry pi + webcam combo setup as described here to generate a video stream (motion jpeg in this case). I then used a program called ffmpeg on a second Raspberry pi to convert this to something that YouTube could use and stream to its live events facility. You could do all this on the same Raspberry Pi but I had a second, more recent version handy (more oomph). I'm still looking for a USB video capture device that works properly with the Pi. 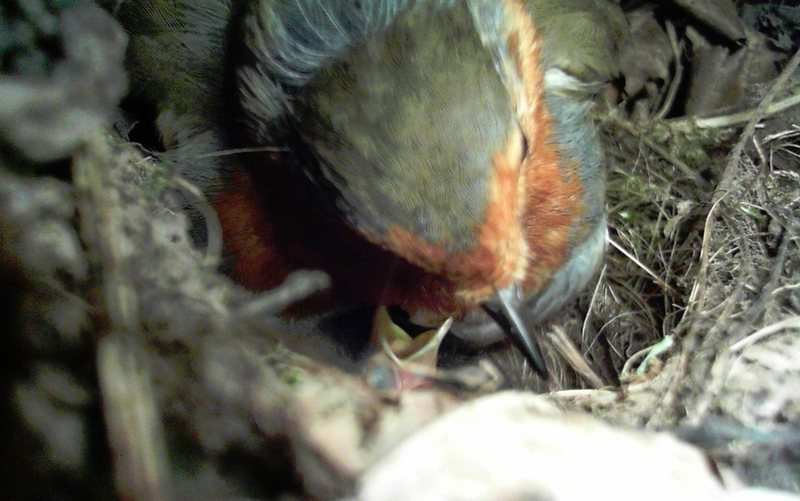 Robin nest 2017 - a dramatic end?